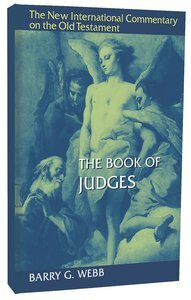 Eminently readable, exegetically thorough, and written in an emotionally warm style that flows from his keen sensitivity to the text, Barry Webb's commentary on Judges is exactly what is needed to engage properly a dynamic, narrative work like the book of Judges. It offers helpful guidance to Christian preachers, teachers, students, and other readers not only on unique features of the stories themselves but also on issues such as the violent nature of Judges, how women are portrayed in it, and how it relates to the Christian gospel of the New Testament. About "The Book of Judges (New International Commentary On The Old Testament Series)"
BARRY G.WEBB (Ph.D., Sheffield) is head of the Old Testament department at Moore Theological College in Sydney, Australia. He also serves as associate editor of The Reformed Review and has written The Book of Judges (JSOT Press).